With the success of the Apollo program, NASA delivered great progress in the fields of rocketry and aeronautics, as well as the fields of civil, mechanical, and electrical engineering. Lesser known accomplishments are some of the many spinoffs that came from the Apollo program—partnerships created between NASA and industry to commercialize the technologies developed for the historical missions to the Moon. 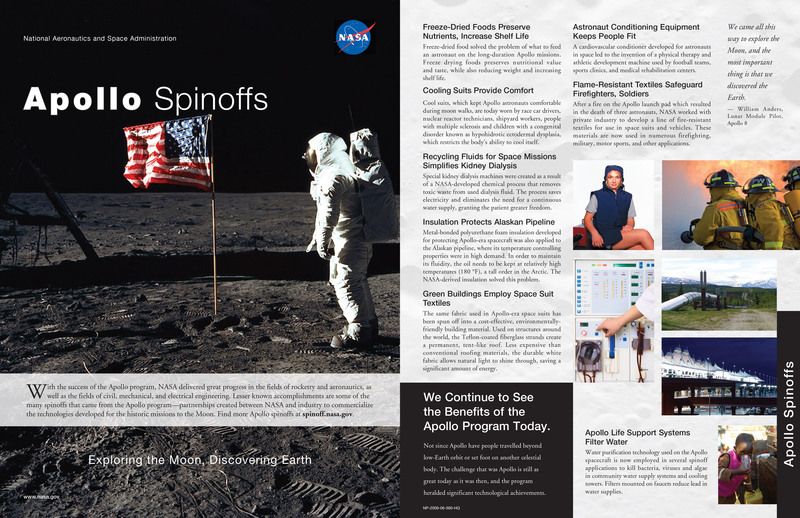 Find more Apollo spinoffs at spinoff.nasa.gov.